Still Christmas Stars, still so close to being done. The directions for step two call for 3.5" string blocks. 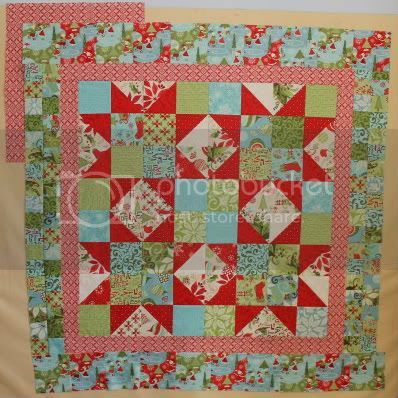 I planned on just cutting 3.5" blocks because I don't have that many strings and I'm not going to cut some just for this. 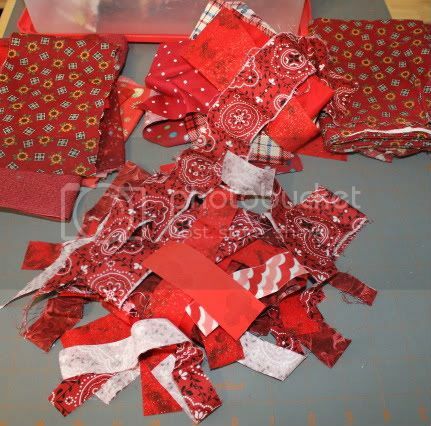 Then I checked my red scraps. Uh, okay... They're almost all strings! 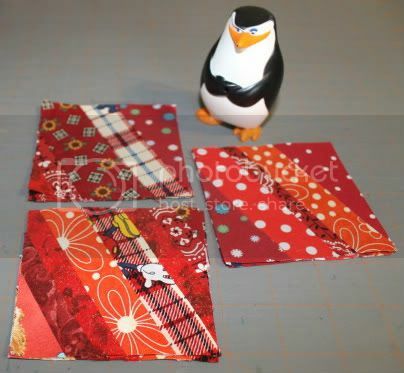 So now I'm six blocks in, powering through some stringy scraps and having way too much fun with these little things.